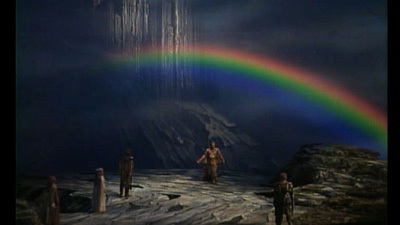 Robert Lepage’s landmark staging of Wagner’s Der Ring des Nibelungen, unveiled over the course of the 2010–11 and 2011–12 seasons, was the first new Met production of the complete cycle in more than 20 years. Combining state-of-the-art technology with traditional storytelling, it brings Wagner’s vision into the 21st century. In this first part of the epic, the theft of the Rhinegold treasure sets in motion the course of events that will change the world and end the rule of the gods. Met Music Director James Levine conducts a cast of some of the greatest Wagnerian singers of our time, including Bryn Terfel as Wotan, Stephanie Blythe as Fricka, and Eric Owens as Alberich.